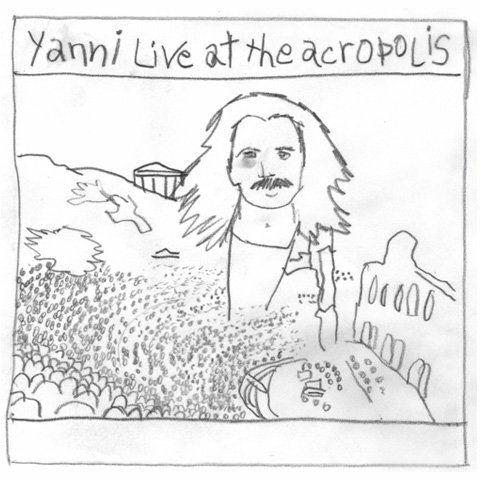 Available on Yanni Live At The Acropolis. "One Man's Dream" is originally on Yanni Live From The Acropolis. Beck and his fifth Record Club covered the album in its entirety. Yanni's take of the song is one of the less dramatic tracks on the album. It seems to be a simple piano arpeggio with a bunch of cheesy strings. It's fairly tame, and not as interesting as some of his other pieces. Beck and Thurston Moore get their session musicians to play the piano arpeggio (and some rhythm), while they in turn contemplatively add a bunch of electric guitar feedback. Near the end Beck turns to his laptop to add a vocal sample (the other time he did that during this Record Club, it was a sample of Yanni talking; not sure if this is too).